» Blog Archive » DRtL Episode 25: Hail to the King! DRtL Episode 25: Hail to the King! 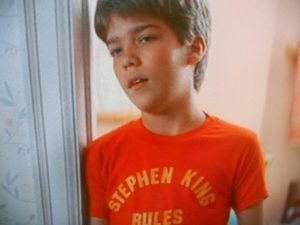 Hail to the King — namely, Stephen King, that household name of horror, the Maine Man himself! As any horror fan will tell you, Stephen King has had more than his fair share of movie adaptations, not all of them good. Well — maybe, most of them really not that good. But! We persevered here at DRtL, and dove right into our retrospective. We mostly remembered King’s films as being fairly light, fun, popcorn movies — but join us as we realize how wrong we were, and just how many of the genuinely horrifying aspects of human nature are lurking under the surface of King’s work, like a clown in a sewer. Not to say we didn’t have fun with the topic. See for yourself. Or, I guess, hear for yourself!